The way I choose books is the way some people might choose dates—I see what catches my eye in my frequent haunts over time and from there decide if it seems like we need to take this to the next level. I’ve been flirting with Bel Canto since I fell head over heels for Practical Magic many moons ago and have been indecisive about it ever since. With Bel Canto, I built up a prospect of magic, mystery, and romance that would weave itself through the air like music on a crisp fall night. I had made it into another Practical Magic (a book to which I may not be able to write a suitable love letter without at least another nostalgic re-read). Through no fault of Bel Canto’s I came to it with a certain expectation set and while the book was certainly its own brand of delicious, it wasn’t the meal I set out to eat. With a title that evokes gothic, operatic, Italian romance, I was expecting Bel Canto to be themed around music—and hopefully Italy or France, major scenes of opera through the turn of the nineteenth century. I am a Phantom of the Opera-a-holic (all forms: musical, movie, book, and Susan Kay’s little known tribute Phantom what took me 4 years to track down) and as such was fully ready to take a spin down the lanes of opera again, especially when I learned that our leading lady was a diva. But where Phantom was inventive, and yet comfortingly predictable, Bel Canto continued to re-invent. Its brilliance isn’t in meeting genre expectations, but questioning them repeatedly—like I said, it wasn’t the meal I sat down for, but I wasn’t disappointed. Opera is opulence; luxuriousness that knows no boundaries. It isn’t merely luxurious because the tickets are expensive, but there is a social expectation that orbits opera from every angle. It is not merely the night of the grand event that is lux, but the actors, their entourages, the extras (their entourages), the sets, the costumes, the dinner, the gifts, the thrilling romance of being lost, the luxury of being suspended in time. Operas last for hours and as Bel Canto expertly points out, you are frequently listening to opera in a language you don’t speak—most operas are Italian, but there are notable French, German, and even some Russian renditions. Opera continues to exist without the story being translated; the music is the velvet that you wrap around yourself. There is a noted exclusivity to opera—it is expensive to go so that limits the audience, the singers have a rare voice so it limits the performers, the acoustics have to be particular so that limits the venue, the languages are particular so it limits the listeners. Opera is simply extravagance; a brand of indulgence only available to few. And Bel Canto toys with that theme of exclusivity. When Bel Canto opens, we are in an unnamed South American country of dubious political stability—they are actively courting the economic aid of a Mr. Hosokawa, a wealthy Japanese businessman. To woo him, they promise him a lavish birthday party with—temptation of all temptations—the American soprano, Roxanne Coss, as a personal soloist for the evening. Her fee was exorbitant, but the government of the country paid for the potential business from Mr. Hosokawa and he, being smitten with Roxanne’s voice for years, was simply too adoring to refuse the chance of meeting her. He took with him his faithful servant and translator, Gen, which was lucky as there was a motley crew of people at the party with barely a group of five able to communicate without a translator. As Mr. Hosokawa’s birthday party was just gearing up, it was bombarded by guerilla warriors looking to kidnap the president of the country and hold him for ransom. Unfortunately, the president had skipped out on the birthday party and the only hostages available to the guerillas were the hodge-podge party guests—all from different and exotic locales who had traveled to this tiny, unknown spot with their hearts set on gaining Mr. Hosokawa’s business. Even the great, the epic, the transcendent Roxanne Coss is taken hostage—and as she is the rarest jewel among the hostages, they refuse to release her even when the other women and children go free. A hostage situation is its own brand of exclusive and elite—the type of “special” nobody ever hopes to be. However, among the guerillas are dreamers and artists and hopeless romantics—just as many as there are among the hostages. Because this situation was an accident from the beginning, it is no real surprise that one bad decision—to keep all the hostages instead of merely abort the mission—breeds several: keeping the hostages indefinitely until inane and insane demands are met, among many others. Instead of the hostage situation being temporary and riddled with high tension, it is the setting for the majority of the book—a scene I simply was not expecting. Opera is opulence—its soprano doesn’t wear secondhand clothes and go make-up free while she does vocal exercises with a borrowed piano. It simply doesn’t feel right. Where is the silk? The jewels? The mystique? Mystique? Quel langue ici? Est les francais ce clair? Apologies to all the Francophone readers we just lost—as you can see my French is a bit rusty. So is my Spanish and I’m afraid I have no Russian to speak of (though I can ask basic questions in German and am reasonably sure I can pick up water instead of vodka based on the labels). The most fascinating part of Bel Canto is not how Patchett plays with the universality of music, but the impractical boundaries that imposes on the actual listeners and speakers. Everyone—and I mean everyone—loves Roxanne Coss’ music. Her voice is seductive, haunting, hypnotizing, and a thousand other luring sensations. All of the men fall in love with her, though most cannot understand what she says. Almost none of them speak English and few speak the languages she sings, and if not for Gen, our handy-dandy translator, we would lose the majority of the storytelling and character development. Gen speaks, conveniently, every language represented in the house: French, Spanish, Russian, German, Swiss, Japanese, Italian, Portuguese, and English (to name a few—he literally just knows every language we could want him to know), and he becomes our primary vessel for the story,. We are tugged around with Gen to learn the secrets of the house and to see the beauty of the imprisonment. And, oddly, the imprisonment is beautiful. I can’t think of a time when that was said about a hostage situation, but they are all pacified by music, swayed by beauty into a kinder existence, and it brings out the best side of such a situation. Bel Canto has unexpected love affairs and sweeping musical numbers that are more dramatic than the Opera Populaire, even though they have nothing but rags and candlelight to set the mood. Because I couldn’t see the love affairs coming, I won’t spoil them or the ending, which I felt continued in the theme of “questioning expectations,” so be warned that if you think you are going to guess parts of this story, you won’t. 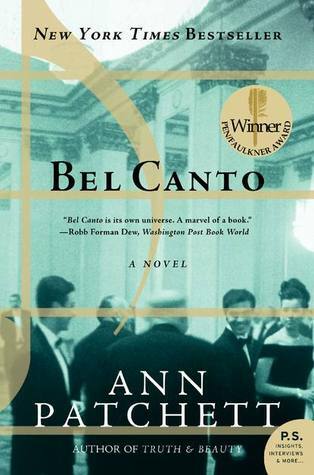 If you like surprises, magic, mystery, and the unexpected progression of a story, you will like Bel Canto. You may also listen to Wagner as a result of reading it, and I won’t be held accountable for whatever fights this causes in your family (hey, not everyone thinks opera is beautiful)! 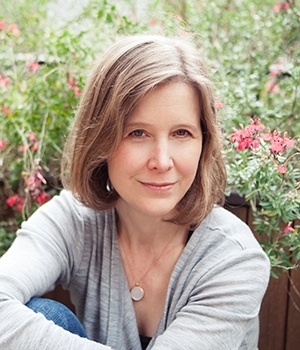 Ann Patchett is a Sarah Lawrence graduate and notable writer. She has had a long writing career including time spent with Seventeen magazine. Her most famous books are Bel Canto, The Patron Saint of Liars, Taft, and The Magician’s Assistant. She has also written about her friendship with Lucy Grealy in Truth and Beauty: A Friendship. She is the co-founder of Parnassus Books in Nashville, TN. She currently lives in Nashville with her husband.